It rained all day on our little lovely island of Camiguin. Camiguin lays some 15 km north of Mindanao. We wondered how the weather was over in Mindanao. This evening came the shocking messages. 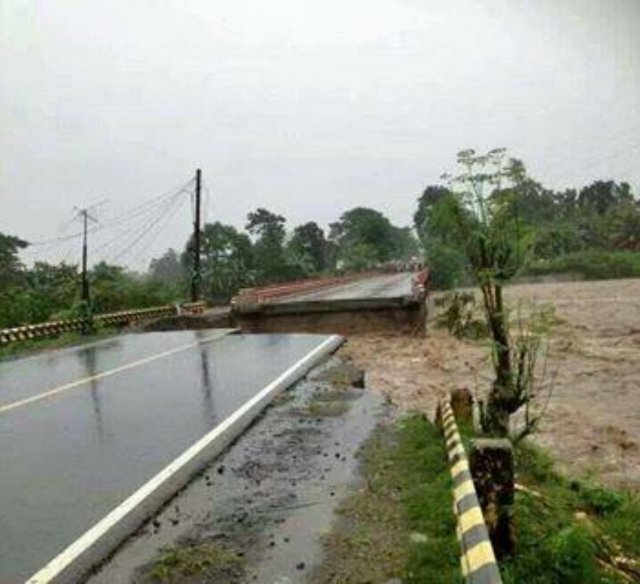 Cagayan de Oro under RED ALERT, Butuan flooded and the bridge of the National Highway in Balingasag heavily damaged. When I saw the pictures, I found that the people of Camiguin are still lucky. This bridge is on the National Highgway linking Butuan with Cagayan de Oro. We people from Camiguin need this bridge when we have to go to Cagayan de Oro. Butuan is under Water. Heavy rains continue to pound the city from Saturday evening up to now, causing the Agusan River to swell – flooding many parts of the city. 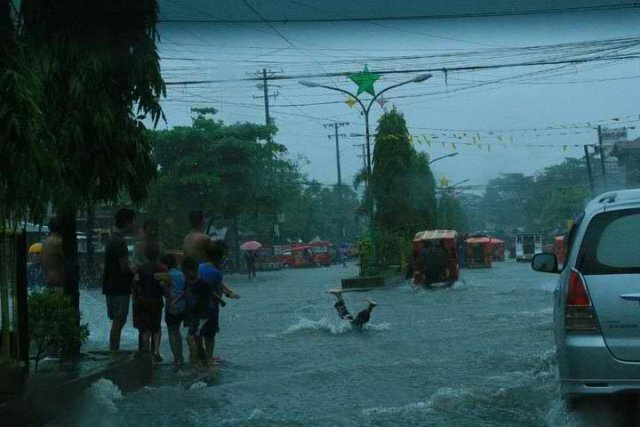 Oblivious of the dangers, these children still continue to swim in a flooded street in Butuan City. 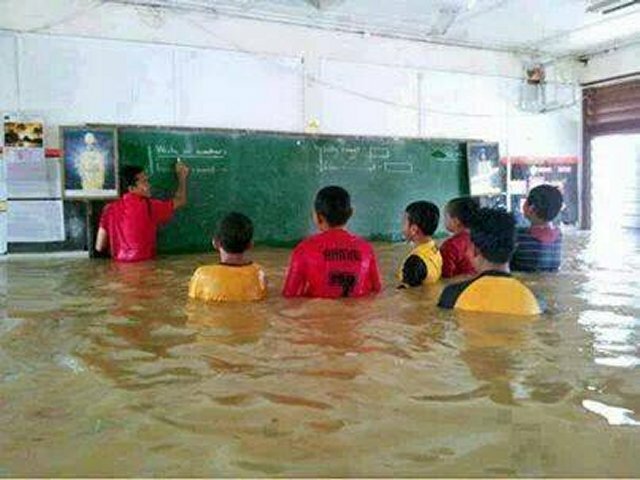 They should be in school. Filipinos have their own lifestyle and their own philosophy: Bahala na! Next story Old Silent Gardens still lives!